Dahlonega, Georgia and the Blue Ridge Mountains. Welcome to Dover Realty, your real estate resource for homes, land and commercial property in North Georgia! We are a second generation family owned and professionally operated real estate Brokerage located in downtown Dahlonega, Lumpkin County, Georgia. 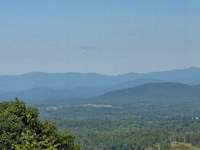 For five decades our Company has been offering real estate for sale in Dahlonega GA, Lumpkin County, and the North Georgia mountains. Our focus is on the quality of your experience and efficiency in obtaining your desired result. We invite you to tour our website and come view our Dahlonega & Lumpkin County real estate for sale -- our homes, land, farms, commercial, and other North Georgia properties. HOMES : Whether you are a first time home buyer or wish to retire to one of the best places to live in the U.S.A. we can help you with all the homes for sale in Dahlonega, GA, Lumpkin County, and the North Georgia mountains. Maybe you are seeking a primary residence or family home; or a country estate, second home, mountain cabin, weekend retreat, river property, townhome, retirement home, vacation home, rental property, or are looking for that great real estate foreclosure deal. Perhaps you need help with relocation or simply need a larger or smaller house. We’ll guide you through the selection of Dahlonega homes for sale and through personal attention we’ll assist you in determining what best suits your needs. We have access to and information on every home listed for sale in Dahlonega, Lumpkin County, and North Georgia and can show you any of interest. We’ll make our expertise available in offering thoughts on all aspects of buying a home, on obtaining a mortgage or other financing options, home inspections, home warranties, things to be aware of when taking title, and what to expect at closing. We encourage you to view our HOMES for sale and come see them in person. LAND : Dover Realty has a long time specialty and strong expertise with land transactions and investments. Land has many uses - we understand them. We deal in properties that range the gamut from personal use or recreation to residential development or business location, from small tracts to multi-thousand acres, and we cover all of north Georgia for acreage-sized real estate parcels. We offer Dahlonega land for sale, Lumpkin County acreage, north Georgia mountain land for sale with a splendiferous view, Lumpkin County gold mining property, acreage with a lake or pond, whitewater river land or a tract with a waterfall, creek or stream; and land with a National Forest boundary for sale. We also have available building lots for a primary residence or second home, commercial site locations, development, and timberland. We can show any land listed for sale in the North Georgia mountains in addition to land for sale in Dahlonega, Lumpkin County, Georgia, and often deal in properties that are available but not officially on the market. We are well versed in the issues regarding land and the factors that affect ownership – easements, boundaries, surveys, encroachments, and the significance of title insurance. We can help you locate and identify property lines and corners and match plats or topographical GIS depictions to terrain and identify features. We can assist in locating the best roadway or driveway location or homesite, provide information related to permitting, development, or rezoning and types of loans available for land purchases, and guide you through the closing process. On our LAND page is a generous selection of exceptional parcels. But a picture and a piece of paper can never convey the true character of a tract of real estate, so we encourage you to come view in person. 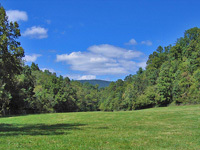 FARMS : North Georgia has many idyllic farmland settings. Often when you think of a farm or ranch you picture a property with pasture, barns and outbuildings. North Georgia, Lumpkin County, and Dahlonega farms for sale also include horse farms, mini farms, meadowland, mountain farms, or grassland with a pond, creek, or river for sale. Many properties in the area are well suited for raising livestock, horseback riding or boarding horses, vineyard cultivation, fishing in your own private pond, or simply growing a vegetable garden for your own consumption. We have some choice farms for sale in Dahlonega and other areas on our FARMS page, we invite you to come tour them. COMMERCIAL : Income producing real estate or a property whose highest and best use is conversion to a business intent or income-producing purpose falls into the category of commercial property. Dahlonega commercial property for sale may include retail business property, convenience store site, development project, fast food restaurant location, commercial build to suit, medical office location, convenience store, professional office, industrial building, apartment complex, or a tract of land with zoning intended for business purpose. 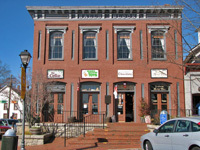 We also manage commercial property for lease located in Downtown Dahlonega. Check out our commercial listings on our website or contact us directly. As always, we have access to every commercial property listed in Georgia - not just commercial property for sale in Dahlonega - and would be glad to help you locate something specific. Dahlonega homes and townhomes for rent near town and the University. . 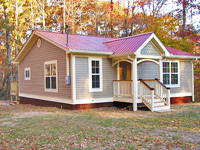 RENTALS : Dover Realty offers a number of homes for rent in Dahlonega GA, also apartments, townhomes, and cabins; from accommodations for one to many. Some Dahlonega rentals are within walking distance to UNG and downtown. Most rentals in Dahlonega involve a one year lease; all are comfortable, neat, clean, and well maintained. These Dahlonega GA homes for rent often transition from one occupant to the next without ever being advertised, we suggest you contact us ahead of time with your anticipated needs. Copyright © 2019 Victor & Melissa Dover, Dover Realty Inc.